As soon as term ended, two practice groups in LVI and an assessed group in UVI headed to the Lake District for our Gold Duke of Edinburgh expedition. We spent one day practising our map reading and navigational skills and then we embarked on four days of walking, camping overnight between each day. 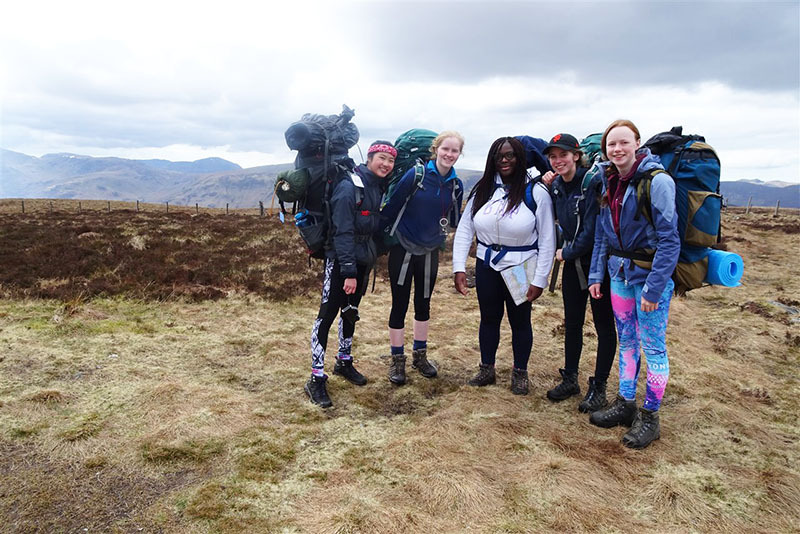 Despite the blisters, sore legs and exhaustion that we all felt having completed the expedition, it was an extremely rewarding experience and I will never forget it. I particularly enjoyed the amazing views that we saw throughout the four days, seeing a red squirrel for the first time, having an excuse to snack on cereal bars all day, and being able to share the whole experience with my group. I truly feel that this trip challenged me as a person, pushing me out of my comfort zone, and completing it really feels like a huge achievement that I can be proud of. I am looking forward to completing my assessed expedition in the future! Many thanks to Mr Porter, Mr Haughton, Mrs Wright, Dr Dawber, Mr Chilton and our external helpers, Mrs Ward and Mr Abbott.